The first step in improving Hospital Consumer Assessment of Healthcare Providers and Systems (HCAHPS) performance is recruiting nurses with a focus on long-term retention. The national turnover rate for bedside RNs was 16.8% in 2017 with an average associated cost of $38,000 to $61,000 per nurse. Nursing turnover impacts each hospital’s bottom line, with costs averaging from $4.4 million to $7 million annually (source). More importantly, high nursing turnover negatively affects morale, quality of care, and HCAHPS scores. When there is a critical acute need to satisfy scheduling demands, hospitals cannot afford the luxury of being proactive in their recruitment efforts. Unfortunately, patching a schedule full of holes causes rapid hiring decisions instead of considering a quality applicant. There are connections between patient perceptions of their health care experience and nurse staffing ratios. The hospitals with the highest number of nursing hours per patient day consistently rate higher on HCAHPS scores than other facilities. Nurses and patients alike thrive in a positive nurse work environment. But recruiting nurses with long-term retention factors is only half the battle. Health systems have to streamline their recruitment process to re-focus on hiring and retaining nurses with targeted HCAHPs behaviors like responsiveness, ability to listen, and audience awareness. When interviewing candidates, it is essential to identify how the nurse will communicate with and answer patients. Optimal applicants will treat the patient with respect, communicate effectively, and respond quickly. Hospitals must strive to recruit candidates who are committed to their work, patients, and the organization. When hospitals remain competitive to hire and retain talent, patients stand to benefit. Top-quality employees make for top-quality organizations and nurses are at the forefront. With the stress of the health care profession, it can be challenging to rally your energy or exude optimism on a daily basis. If you’re in an administrative or management role, you may notice signs of dwindling happiness among the staff. Things like arguments among colleagues, less camaraderie, or increased turnover rates may be clues to indicate your coworkers are in need of a morale boost. The best way to tackle a slump in team morale is to head it off at the pass with positive changes. Recognizing the extra time and effort your nursing colleagues give to the job and providing them with opportunities to learn and grow in the profession are a couple of the ways to improve job satisfaction. Here, we’ll look at four other ways to boost morale in the workplace. 1. Allow time for a lunch break. Encourage your nurses to take their lunch breaks and escape from the usual monotony of the day. They can head outside for a stroll around the block, order from a new restaurant, or sip on some antioxidant-rich green tea. Even just a few minutes a day can have mood-elevating effects and lead to a more positive work environment. 2. Foster an atmosphere of caring among your coworkers. It’s so easy to get wrapped up in your own life. However, if you can celebrate your colleagues’ milestones — a work anniversary, an engagement, a promotion, a birthday, etc. — you can foster an atmosphere where your fellow nurses feel valued. The gesture of making sure your employees and coworkers know they are treasured assets to the company will go a long way toward getting people excited about coming to work each day! 3. Offer free continuing education or professional development courses. When budgets are tight, continuing education and professional development courses are often the first items to be slashed. But continuing education and professional development courses bolster the tools that nurses need to help their patients, and sometimes, the cost of these courses comes with hefty price tags. By offering free, educational opportunities or subsidizing a portion of an enrollment fee, you support your employees in their desires to improve their skill set, cultivate their professional passions, and accomplish their long-term goals—which leads to highly-trained, loyal employees and a more uplifting work setting for everyone. 4. Learn effective communication strategies. “To help prevent morale issues in the workplace, leaders need to spend time communicating their vision to ensure that ‘everyone is on the same page,’” suggests Jeff Parke, author of a Linkedin article about low morale in health care. Communicating a concise message is key to managing employee expectations and conveying practical productivity guidelines. Parke states that capable leaders will permit employees to discuss these messages either in-person or during designated staff meetings, where employees have the opportunity to express their opinions and ask questions. Allowing for feedback and the open exchange of ideas shows nurses that their thoughts and opinions matter when it comes to boosting morale in the workplace. We’d love to hear your thoughts and ideas on how to boost workplace morale, so feel free to leave us a comment below. Faculty from the School of Nursing at the University of Michigan know the value of students making mistakes while treating patients, but when the patients aren’t real it’s a better scenario for everyone involved. This led to the building of a new state-of-the-art Clinical Learning Center which houses six simulation rooms with high-fidelity mannequins that act just like real patients, even capable of bleeding, vomiting, and giving birth. Some students find the mannequins intimidating because of the things they can do, but they can’t deny the valuable skills they are gaining from the real-life issues being simulated. The mannequins can even simulate high-risk issues that don’t typically occur in a hospital setting, preparing students for how to react in emergency situations. The nursing school has a team of specially trained simulation instructors who sit behind a one-way mirror with screens in front of them, using wireless controls to prompt any possible physiological response in the mannequin. The major benefit of learning clinical skills through mannequin simulations is that students can learn by trial and error without harming a real-life patient. Students remember the cases where they screw up, and learning from those simulations builds confidence and comfort when working in hospital settings. Many students don’t experience life-threatening or advanced care skills in their clinical rotations, but with mannequin simulations students can practice suctioning secretions from the trachea, electrically shocking the heart into starting again, and administering intravenous drugs. University of Michigan is far from being the only nursing school that uses mannequin simulations in their curriculum, but they are the only school that allows all undergraduates, even first-year students, to take part in simulation training. 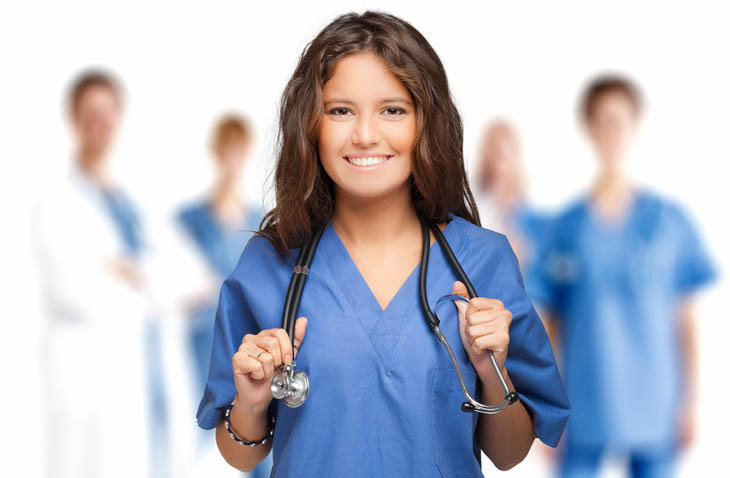 Studies have shown that undergraduate students can replace up to half of their clinical hours with simulations without impacting a student’s ability to pass the nursing certification exam. After each simulation, students immediately go through a debriefing session to review what they did well and where they have room for improvement, simultaneously teaching students invaluable critical thinking skills.